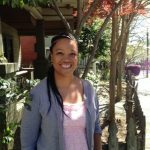 Charla Weatherby has over 10 years of experience working with individuals and groups in a variety of treatment settings including outpatient mental health clinics, residential settings, and in the private practice office setting. Charla works with adults dealing with a variety of issues including chronic mental illness diagnoses, anxiety, depression, relationship issues, and trauma related issues. Charla works from a strength based and holistic approach, focusing on the whole self- mind, body and spirit. In addition to verbal therapy, Charla uses dance/movement therapy in her counseling practice. It can often be difficult to use words to describe our emotions and experiences. Dance/movement therapy techniques can be utilized to assist with accessing emotions and experiences. I have worked with survivors in different treatment settings. I began my work with survivors, when I interned at a domestic violence agency in Chicago, and focused my Masters thesis on the use of dance/movement therapy with survivors of domestic violence (2003). Following my internship work, I worked at a domestic violence shelter in Chicago as a shelter advocate, providing survivors of domestic violence with assistance and support while they were residing in a safe environment (in 2004-2005). I then worked for a number of years at two local community mental health clinics providing counseling and therapy services to clients, including clients who were survivors of trauma. I was a part of specific trauma treatment groups including TREM (trauma recovery and empowerment) groups (2005-2009, 2011-2015). I additionally worked a residential facility for homeless women as the Clinical Services Coordinator, and provided services there to women dealing with a number of issues including trauma and abuse (from 2009-2011). My interest stems from my continual interest in women’s health and growth. I grew up with a mother who was a health provider to women, and my mother influenced me to see the need for stability, safety and health for all women. My interest is also influenced by my continual interest in feminism and women related issues. Although I do know that trauma survivors are not just women, this is where my interest began and formed. While in graduate school, my interest in trauma services and care increased and led to me wanting to research the use of dance/movement therapy with survivors of trauma and domestic violence, through the completion of my Master’s thesis. This then led to me working specifically with women at a domestic violence agency, a homeless shelter, and within the outpatient mental health treatment setting. To me, providing trauma-informed care means being aware, throughout the treatment process, of the effects that trauma can have on a person’s whole being and life experiences. It means being aware throughout the treatment process of both verbal and nonverbal expressions and signs that the client may display, that could relate to possible trauma or traumatic life experiences. As a psychotherapist and dance/movement therapist, part of my role is to be a safe container for the client as they share and express difficult life experiences, assisting them with finding ways to verbally and non-verbally work through these experiences in a safe manner. As a psychotherapist, my primary treatment modality is dance/movement therapy. This involves my continual kinesthetic awareness of what the client is sharing and experiencing, and then bringing the client aware of their own body and nonverbal experiences throughout the therapy process. I work from a strength based and holistic approach, focusing on the whole self- mind, body and spirit. In addition to verbal therapy, I use dance/movement therapy in my counseling practice. Dance/movement therapy techniques can be utilized to assist with accessing emotions and experiences, and then finding ways to express and work through these emotions and experiences. Dance/movement therapy allows survivors to access emotions and experiences that they may not be aware of intellectually or verbally. It allows clients to gain understanding of their body felt senses, and their bodily responses to experiences presently and in the past. Dance/movement therapy can then assist clients with integrating their experiences holistically on a mind, body, and spiritual level to assists with healing and growth. Dance/movement therapy sessions can be modified by myself the clinician. By utilizing my own awareness and attunement to the clients experiences throughout the therapy process, I can bring forth awareness to myself and to the client, to prevent the therapeutic process itself from becoming traumatic. I utilize verbal and nonverbal techniques to continually check in with the clients experiences. Some specific techniques used include breathing exercises, grounding exercises, and always ending the therapy sessions with the client feeling safe, and grounded and present in the current moment. I have my Illinois 40-hour domestic violence certification, and have specifically worked with women/survivors within a domestic violence shelter setting, at a domestic violence agency, and within a residential setting. I have room for sliding-scale clients.